We heart push pops...do you? Anything you can dream up—brownies, cake, sherbert, yogurt parfaits—can make a fantastic push pop. 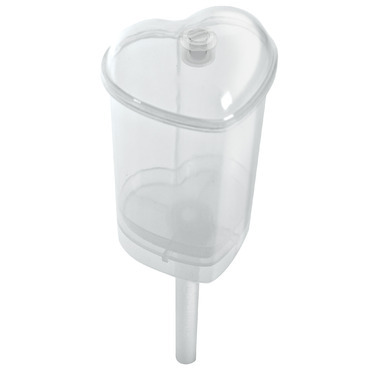 The container top doubles as a stand to display your heart push pop, or you can use it as a candle holder to top the pop! Includes a fitted plunger cutter for perfect cut cake pieces.